An e-cigarette looks like a cigarette, works like a cigarette, and now -- like a traditional cigarette -- it's banned in Montgomery County. The Montgomery County Council unanimously approved Bill 56-14 on Tuesday, banning the use of e-cigarettes in public places where traditional cigarette smoking is banned. The bill will now move to Montgomery County Executive Ike Leggett for approval; it will go into effect 91 days after he signs it. If the bill becomes law, smoking e-cigars, e-hookahs, e-pipes and vape pens would also be illegal in the same places where smoking traditional cigarettes is banned. The bill also bans retail outlets from selling certain liquid nicotine or liquid nicotine containers unless they are in packaging that makes it difficult for children to get into. While e-cigarettes do not produce tobacco smoke, they do contain nicotine and other potentially harmful chemicals, according to the council. 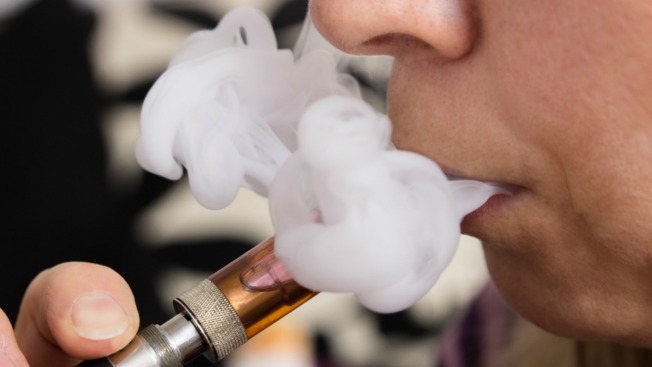 “Perhaps swayed by the belief that electronic cigarettes are safe [...] teens who have never tried traditional cigarettes are using e-cigs, putting themselves at risk for nicotine addiction, nicotine poisoning or exposure to harmful chemicals. I am not willing to gamble with the health of our current generation of young people by waiting for federal regulations,” said Councilmember Nancy Floreen. With the approval of this bill, Montgomery follows several counties in the quest to crack down on e-cigarettes.